This Mercedes-Benz includes: APPEARANCE PACKAGE Tires - Front Performance Aluminum Wheels Tires - Rear Performance Running Boards/Side Steps ILLUMINATED STAR (PIO) LANE TRACKING PACKAGE Lane Departure Warning Blind Spot Monitor HARMAN/KARDON LOGIC7 SURROUND SOUND SYSTEM Premium Sound System PARKING ASSIST PACKAGE Automatic Parking Back-Up Camera EUCALYPTUS WOOD TRIM Woodgrain Interior Trim POWER EASY ENTRY PREMIUM PACKAGE Keyless Start Smart Device Integration HD Radio Navigation System Seat Memory Power Passenger Seat Satellite Radio Power Door Locks Keyless Entry Passenger Adjustable Lumbar Hard Disk Drive Media Storage Entertainment System MP3 Player HEATED STEERING WHEEL Heated Steering Wheel REAR SEAT ENTERTAINMENT PRE-WIRING PORCELAIN HEADLINER WHEEL LOCKING BOLTS (PIO) Wheel Locks PANORAMA SUNROOF Generic Sun/Moonroof Dual Moonroof LIGHTING PACKAGE Headlights-Auto-Leveling *Note - For third party subscriptions or services, please contact the dealer for more information. * Want more room? Want more style? 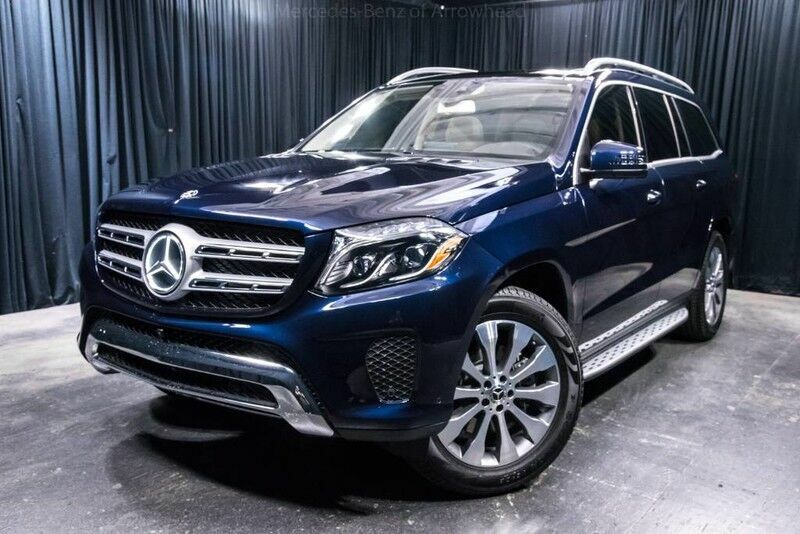 This Mercedes-Benz GLS is the vehicle for you. There's a level of quality and refinement in this Mercedes-Benz GLS that you won't find in your average vehicle. No matter the varying terrain or weather conditions, this all-wheel drive vehicle will help you reach your destination safely and securely in a well-appointed cabin with many features found on cars twice the price. The entertainment package featured in this vehicle will easily provide an memorable experience every time you ride in the Mercedes-Benz GLS GLS 450. You may ask yourself how you ever lived without an entertainment package. Put away your phone and focus on the road, your new vehicle has navigation. Visit your Mercedes dealer today serving Phoenix, North Scottsdale, Tempe, Gilbert, Mesa, Chandler, Scottsdale AZ.